Yesterday I did a whole lot of cooking (again). I had a bunch of dough left over from when I made bagels a couple weeks ago so I thought I’d try my hand at baking a loaf of bread. The recipe called for a grapefruit sized piece of dough. 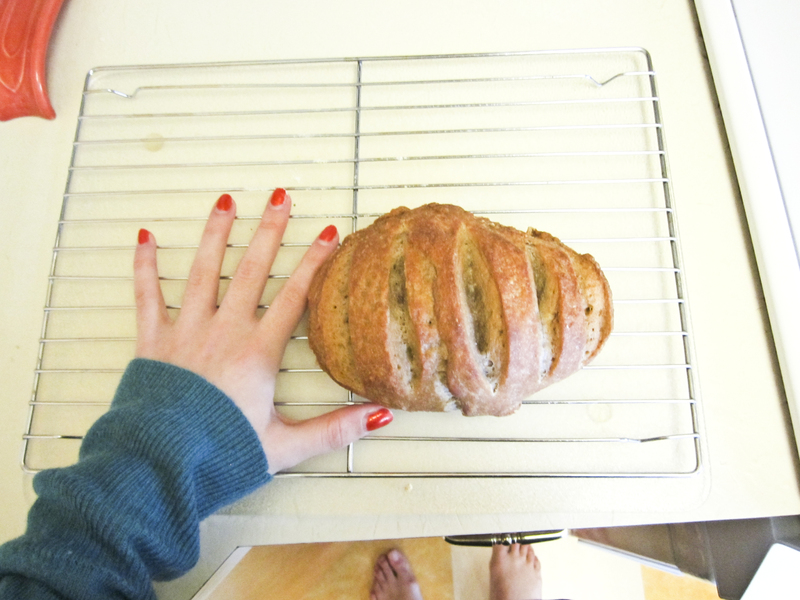 I thought it looked pretty tiny on my counter but the people in the book said it would have a lot of “oven spring”. Whatever the heck that is. 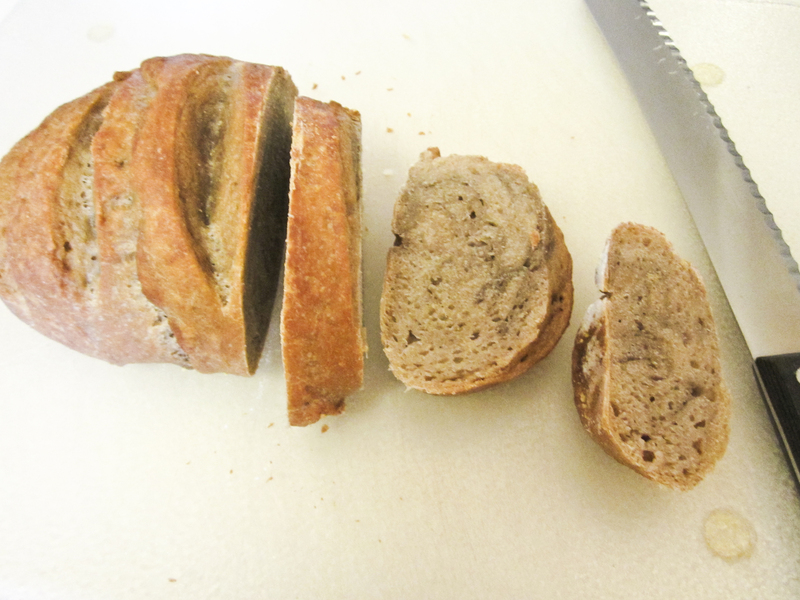 As you can see, the bread did not have very much spring in its step even after being in the oven for 40 minutes. The flavor is good, but it’s extremely dense. It tastes like pure sustenance. Like something you would stick into your backpack on an extreme hiking trip where you need food that will last you an entire day on one piece. Which is perfect for me since I’ve been doing a lot of extreme hiking lately. THEN the real cooking happened for dinner. I have been craving Chinese food like no other since Friday but I am not too keen on Chinese restaurants. 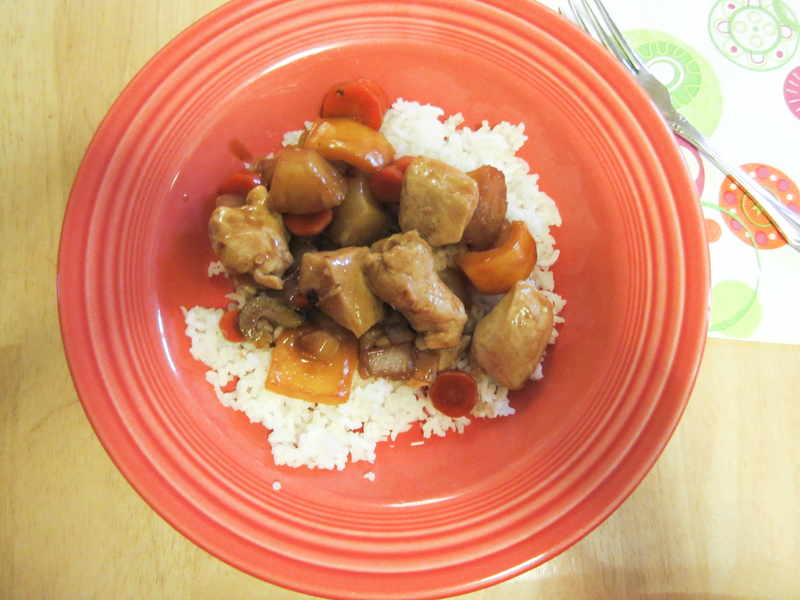 Especially since what I really wanted was Sweet and Sour chicken but I don’t think any food is naturally neon red. 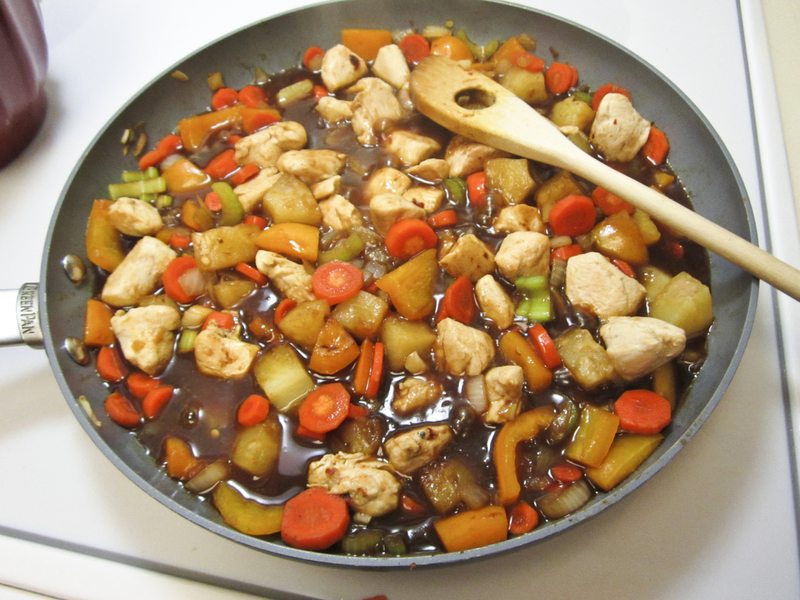 I went online and found a low calorie recipe with tons of veggies, lean chicken, and a delicious sauce made from scratch. My craving for Chinese was completely satisfied.